Supplemental Health Care joins Alexander Mann Solutions and Hudson in an elite class of the only fully-licensed and authorized providers of Recruitment Process Outsourcing (RPO) services to incorporate J-Score™ job seeking behavior analytics into their respective service delivery platforms. The cutting-edge innovation that Joberate has created is a tremendous competitive advantage for our clients. 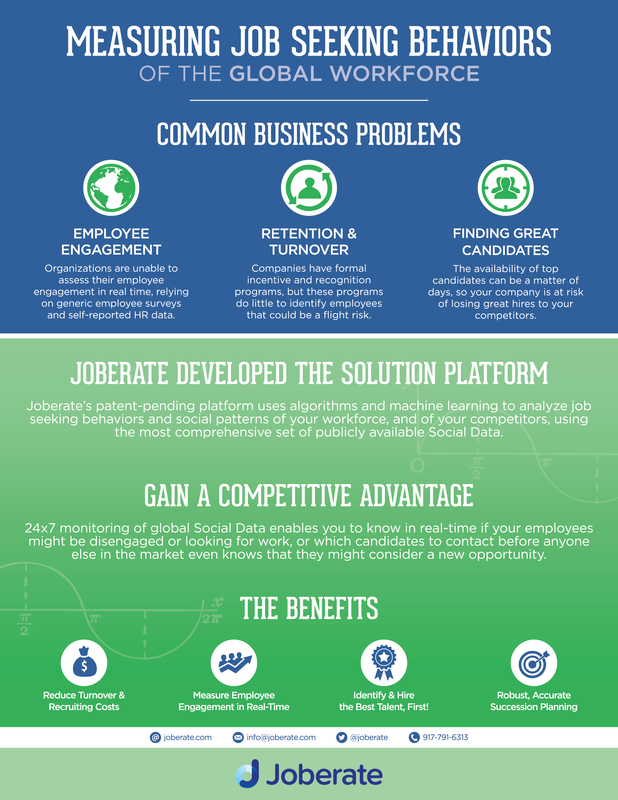 Joberate, a patent-pending technology platform that is the world's first and only global people directory of job seeking behaviors analytics, announces the expansion of its service provider ecosystem to include Supplemental Health Care. In addition to Alexander Mann Solutions and Hudson, the three Recruitment Process Outsourcing (RPO) providers remain in an elite class of being the only authorized RPO providers to integrate J-Score™ job seeking behavior analytics into their sales collateral, their respective service delivery platforms and proprietary configured workflows. The speed with which people decide to change their jobs represents a tremendous opportunity for Talent Acquisition and Recruiting departments that are charged with recruiting top talent, with time to hire, quality of hire, and cost per hire being some of their key performance indicators. Receiving an instant notification via the Joberate platform when a person’s J-Score increases or decreases alerts recruiters to immediately contact a prospect with a potential job offer, which gives RPO clients a competitive advantage for top talent, and helps them improve all of their recruiting metrics and cut costs. Travis Furlow, Vice President and General Manager RPO at Supplemental Health Care said, “Joberate’s platform is integral to the way we deliver services to our clients.” Mr. Furlow continued, “The cutting-edge innovation that Joberate has created enables the ‘art’ of talent pooling to be more efficient, more strategic and more powerful, which is a tremendous competitive advantage for our clients”. Companies that are seeking talent acquisition and management solutions, or other analytics-as-a-service from an RPO provider should first visit Joberate’s website partner section to validate whether or not a provider is legally licensed and authorized to integrate Joberate content into their sales collateral and service delivery, to be sure that their selected RPO partner actually has the necessary real-world experience. In addition to the authorized RPO partners, Joberate recently announced LOOP and Avature as authorized Joberate API integration partners. Clients on either of these leading talent management platforms can gain instant access to Joberate’s global people directory of J-Score job seeking behavior analytics. To gain access the Joberate’s global people directory of job seeking behaviors companies can contact any Joberate partner or Joberate directly. 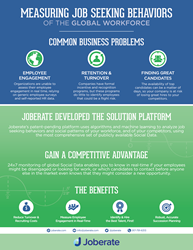 Joberate’s vision is to help society better understand job seeking behaviors of the global workforce, and to measure and quantify that behavior so that it’s easier for companies to retain their high value employees, recruiters to find better talent, and for people to find work that fulfills their lifestyle. Joberate’s technology platform is available to API partners for integration into leading Talent Management, ATS, CRM, and HRMS applications.